211 East Washington in Medicine Lodge. 119 S. 5th Street in Kiowa. 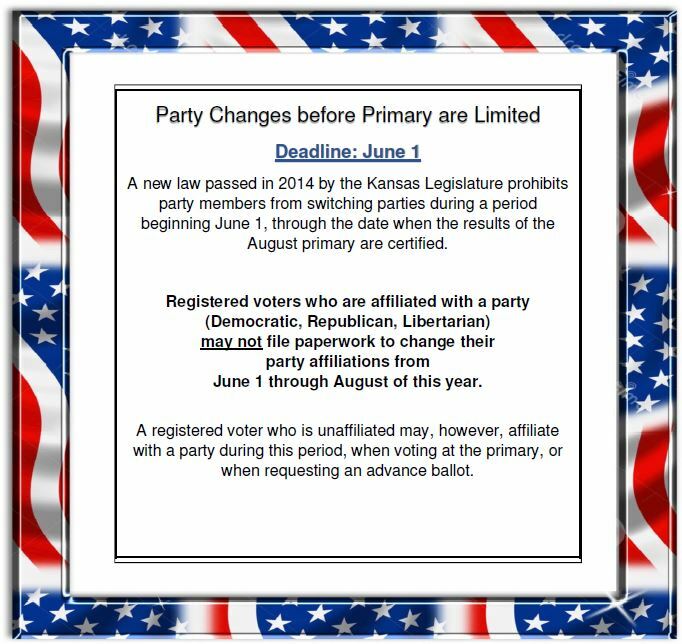 For the most up to date info, see the Kansas Secretary Of State's official website. Application for Advance Voting Ballot is here.